﻿Meadowbrook Community Center closed on Monday, April 15 until 3 p.m.
Community center parking lot closed all day. Meadowbrook Community Center will be closed on Monday, April 15 until 3 p.m. A contractor will be on site to replace the Meadowbrook Pool HVAC unit. All community center programs and rentals occurring before 3 p.m. on April 15 are canceled. Meadowbrook Preschool Program will be closed on April 15. Meadowbrook After School Childcare will have regular operations. The Meadowbrook Pool is closed until May 6 for repair work as part of our Citywide Pools Project. Questions? Please contact the Meadowbrook Community Center at 206-684-7522. Are you a teen interested in acting, singing and dance? We’re inviting youth ages 9-18 years old to audition for the 2019 Teen Summer Musical “Chocolate Covered Heroes”. Auditions are Saturday, April 13 and Sunday, April 14 at Garfield Teen Life Center (428 23rd Ave., Seattle). Audition times are listed below. Come early; audition space is limited! Youth should come prepared to sing a portion of a song and perform from a selected poem or monologue, and to move and dance. Contact Isiah Anderson Jr. at 206-225-8922 for more information. Rainbow Recreation is a partnership between Seattle Parks and Recreation’s Lifelong Recreation program and Generations Aging with Pride to provide recreational opportunities for LGBTQ adults 50+. See the Spring 2019 Rainbow Recreation program brochure below or click here to download a copy. Spring classes run April 1 though June 23. Sign up to be a Youth Volleyball Official! Seattle Parks and Recreation and ARC are recruiting Youth Volleyball Officials for the Spring 2019 season. We are looking for people ages 16 and up to become officials for the Citywide Youth League. All applicants must pass a background check and be able to fulfill officiating duties. Training is mandatory and will be provided to develop the knowledge and skills necessary to work successfully as an official. Expectations: All officials are expected to be on time, model professional behavior and be able to work all schedule games. -Must be 16 years of age or older; if under 18 years of age must complete Youth Parental/School form signed by the school and guardian. Barb Burrill, Tree Care Manager of nonprofit City Fruit, will describe her experience netting fruit trees in Seattle and explain step-by-step how you can use nets to produce worm-free fruit at home. You’ll be able to see different types of nets that can prevent pest damage in apples, pears, cherries, plums, and berries. She will also discuss the pros and cons of using paper baggies and nylon “footies” for pest control. Saturday, April 13 Jefferson Community Center 3801 Beacon Ave S, 98108 1:30 – 3:00 p.m.
Sunday, April 14 Rainier Beach Community Center 8825 Rainier Ave S, 98118 2:00 – 3:30 p.m.
7110 62nd Ave NE, 98115 1:00 – 2:30 p.m.
8319 8th Ave S, 98108 1:00 – 2:30 p.m.
Saturday, May 4 Meadowbrook Community Center 10517 35th Ave NE, 98125 10:00 – 11:30 a.m. The Seattle Japanese Garden (located within the Washington Park Arboretum at 1075 Lake Washington Blvd.) will open for the 2019 season on Monday, April 1. Visit and see blooming cammelias, budding azaleas, koi swimming in the newly-restored pond, and much more! The Japanese Garden has a schedule full of fun and family-friendly activities. For the third year in a row, First Free Thursday and Family Saturday programming will take place in 2019. For First Thursday in April, the Japanese Garden is delighted to welcome Fumkio Kimura on April 4 for a demonstration of sumi-e, the Japanese art of ink calligraphy and a discussion of her Haiga exhibit. Event information here. The first Family Saturday event of the year will be an Origami in the Garden event on April 13, which includes free entry into the garden for children 12 and under from 10 a.m. to 2 p.m. Event info here. Tea ceremonies will also be starting on April 6; learn more here. Seattle Parks and Recreation is seeking individuals, groups, or organizations to provide culturally relevant, safe, active and reliable programs to the community through the Summer Expanded Recreation Program. 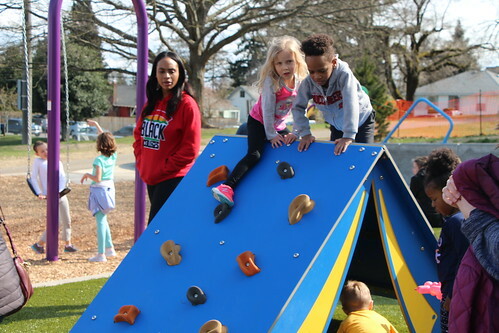 The focus of the Summer Expanded Recreation Program is to provide free healthy meals, as well as fun, innovative and active programs at park sites across Seattle that will have a positive impact on the children, families, and communities of Seattle. 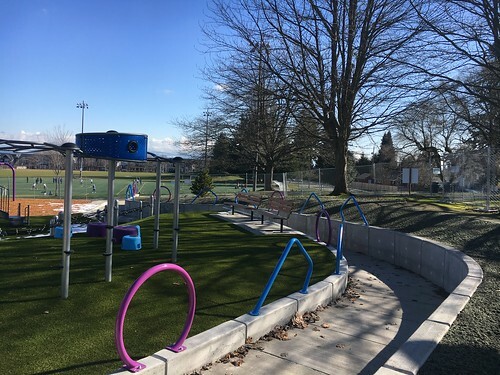 The Summer Expanded Recreation Program will run from July 8 to August 24, 2019. 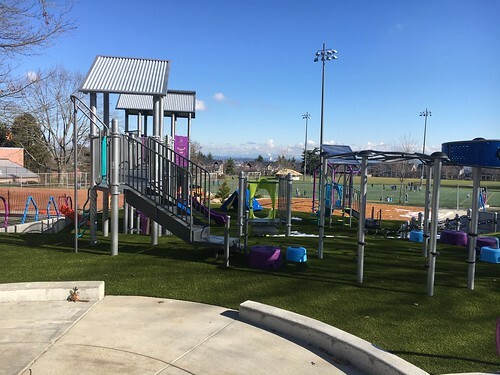 The Summer Expanded Recreation Program Request for Proposals (RFP) is targeted to the following Seattle Parks and Recreation locations: Beacon Hill Playground, Judkins Park and Playfield, Madrona Playground, Othello Playground, Pratt Park, Powell Barnett Park, Lakewood Playground, E.C. 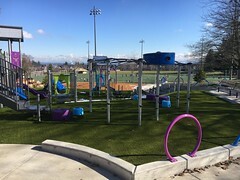 Hughes Playground, Roxhill Park, Georgetown Playfield, Little Brook Park, and Greenwood Park. 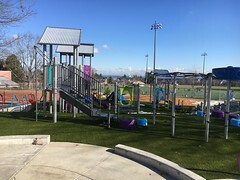 RFP Guidelines for the 2019 Summer Expanded Recreation Program can be downloaded here. The deadline for the RFP is Friday, April 26. Proposals can be submitted by email, mail or dropped off in person. Click here to download a copy of the application and submission guidelines. Questions? 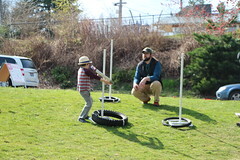 Please contact Connor Durham, Sr. Recreation Specialist at connor.durham@seattle.gov or 206-615-0303. Seattle Parks and Recreation will host free or low-cost egg hunts at various locations throughout Seattle in April. See below for location details. Events subject to change; please call local community centers to confirm dates and times. Friday April 19: Jefferson Community Center, 8 pm. Try finding the loot in the dark with flashlights! Bring a flashlight and a bag, but don’t be late, because the hunt goes quick. Meet in the Jefferson Community Center Gym. Rain or shine, we will be outside, so dress for the weather. Ages 12-18. Come prepared for the weather with a basket or bag for collecting eggs. Ages 11 and under. Bring a basket or bag to put all your goodies in. Children will be divided into appropriate age groups to ensure a fun and fair hunt. Meet out on the field by your age group sign or in the Van Asselt Community Center Gym if it’s raining. Please plan on arriving at least 15 minutes early. The hunt begins at 10 a.m. sharp and will run rain or shine! Ages 11 and under. A spring egg hunt in the newly renovated Hing Hay Park. Come prepared for the weather with a basket or bag for collecting eggs. Ages 12 and under. Thursday April 18: High Point Community Center, 10 am. sharp $5. Toddler Eggstravaganza – Join High Point Community Center for cookie decorating, balloons, music, and fun. Bring your own bag or basket for treats. Ages 5 and under. Rain or shine. Please meet outside in front of the community center. Groups disperse at 9:50 a.m. with hunt beginning at 10 a.m. promptly. Don’t forget your running shoes a bag/basket to hold all your goodies in. For more information please call Delridge at 206- 684-7423. Teen and adult volunteers are greatly appreciated. Ages 12 and under. Grab your basket and hippity hop on over for some egg-cellent fun! Rain or shine, and please be on time. Children will be divided into egg-citing age appropriate groups. Ages 2-10. All ages! Bring your own bag or basket for your treats. Bring your basket for eggs and special prizes; arrive no later than 9:45 a.m., and join us afterwards for refreshments and to see our programs, activities, and facility. Ages 1-12. Bring your basket to hunt for eggs and special prizes. Please help support our canned food drive to assist our local food bank. Please plan to arrive no later than 9:45 a.m. Ages 1-12. Eco-Hunt: Celebrate the coming of spring with a scavenger hunt beginning at 10 a.m. sharp! This is an egg and candy-free event. Rain or shine! Ages 1-11. 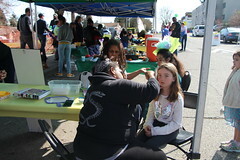 Children will be divided into age appropriate groups to ensure a fun and fair hunt. Please plan on arriving at least 15 minutes early. The hunt begins at 10 a.m. sharp, rain or shine. Ballard CC Field, Loyal Heights CC Field, Bitter Lake CC Annex (13040 Greenwood Ave N) Ages 10 and under. Everyone will meet in the gym per their child’s age and time. Please bring a basket or bag. Parking will be tight. Be prepared to walk to the community center; parking will be tight. Rain or shine. Please bring a can of food donation for the local food bank. Ages 1-3 at 10 a.m.
Ages 4-6 at 10:30 a.m.
Ages 7-10 at 11 a.m.
Plan enough time to park and find your age group’s hunt area. Rain or shine. Make sure to bring a basket or bag; we’ll also be collecting non-perishable food items for the local food bank. Volunteers needed. Ages 2-10. Rain or shine. Bring a basket or bag; we’ll also be collecting non-perishable food items for the local food bank. Volunteers needed. Ages 1-11.